There was more anguish to come for Makeda. Her obstructed labour has caused a fistula and she was now incontinent. Tragically, those closest to her did not support her when they learnt of her condition. Makeda’s husband left immediately. When she tried to move in with her uncle, he told Makeda that he would not put up with her "curse" and kicked her out of the house. Makeda was forced to live alone in a small hut next to her uncle’s house. She survived thanks to the charity of her neighbours but her suffering was immense. 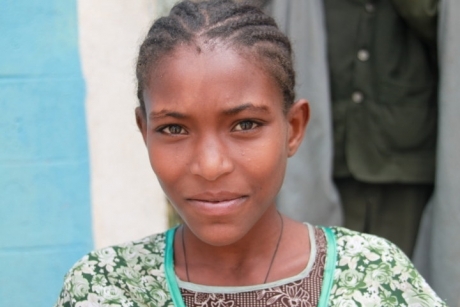 Makeda’s life suddenly changed when she was offered a trip to WAHA Ethiopia’s fistula hospital in Gondar. After being nursed back to health, Makeda underwent the two hour operation to repair her fistula. The surgery was a complete success and Makeda is extremely grateful to have a new chance at life.